Home » Loans » Loan Guides » Where Can You Get a Personal Loan? In any consumer’s life, there would always come a time when opting for a personal loan would be the prominent option. Many personal needs may push the consumer in that direction: buying a new car, finance a wedding or a family vacation or even to consolidate several debts. However, it is always important that before one gets into debt, to be thoroughly informed. The market dangles many loan products tailored for different purposes and people in a variety of circumstances. Understanding how they really work is the first step in the borrowing process. Having that in mind, we are providing this guide to cover some important and extremely valuable loan facts. A loan is a financial contract where one party (lender) agrees to give the other party (borrower) a specific sum of money that the lender agrees to pay back regularly over a set period of time. There will usually be interest at an agreed interest rate and sometimes additional charges to cover the administration of the loan. The contract will specify the specific terms and conditions of the loan – although they provisions might vary from lender to lender. Every borrower must abide by the terms of the contract, especially on the repayment dates and interest payments. Companies package their loans differently from each other but in general, there are just two main types: secured and unsecured loans. The distinguishing factor is that in secured loans, the borrower provides an asset (usually his home) as a security for the loan. On the other hand, an unsecured loan is available to many people as long as they have a decent credit and are gainfully employed. The process of getting a personal loan has already evolved. Some years ago, lenders would first want to know your credit score, look into your tax returns and find out your employment details. After that, they would decide whether or not to give you a loan and at what interest rate. Recently, a new crop of lenders has risen who have strayed away from the traditional path. They now include factors like your SAT scores and social media accounts to evaluate if you can get a loan and how much interest to charge. Significantly, this has made it easier to get a personal loan now than when credit unions and banks were the only options for borrowers. Personal loans can vary in size (amount of principal) and term length (period for repayment). Some loans can run for a full year while others (like payday loans) are usually due in just a few weeks after you borrow. If you settle a payday loan within that tiny window of time, you won’t have to pay interest but you need to pay the origination fee for your loan. Some other forms of personal loans, including installment loans, begin to stack up interest on day one. The monthly interest payment will depend on the size of the loan and the interest rate. 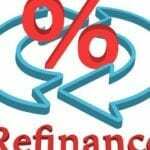 Some lenders will offer a lower interest rate if you opt for a longer term. A good personal loan calculator can help you check where you can save money by computing which interest is cheaper between terms. You can compare between the lower interest for a longer term and the higher rate for a shorter term. The best rule, of course, does not borrow more than you can afford to pay off. Your best options to get personal loans are traditional banks, credit unions and now, online lenders. From any of these three sources, you stand to get a fair loan with interest rates that are within your means to pay. If you have established a long-standing relationship with a bank or a credit union, they are your best option outside of 0% APR cards. Depending on your length and quality of relationship with them, you may even qualify for special loans with special terms and privileges. Here’s a tip: applying for an online loan is easier than what you may think. If your bank’s offer is not too friendly for your needs or if there are no banks near your place, you can just go online and fill out a form. You may have heard of these name brands when it comes to personal loan programs: US Bank, Wells Fargo, Capital One. In fact, you may already have transacted with one of these banks. That would make borrowing from them more attractive for you because you already trust them. It’s not just the big banks anymore where you should look into. There are now some good online banks that offer nationwide service and provide a variety of loan products to choose from. Big name banks can offer a ton of options. You can have your pick of terms (length), fees, incentives and other offers. You’ll probably find it easier to choose a loan that really suits your needs and preferences. What’s more, these big banks have facilities that provide convenience for the borrowers such as online bill payment and a 24/7 customer helpline. Big name isn’t always synonymous with big service. In some big banks, it may be difficult to talk to a bank manager or loan officer in person or by phone. In some cases, they might refer your account to a low-level employee or an inexperienced bank agent. These people may not have the authority or flexibility to grant exceptions or might have to follow strict rules and guidelines for credit scores and borrower eligibility. You will find it more difficult to get a personal loan from them when you have fair to poor credit. Banks typically demand higher credit scores from borrowers compared to other lenders. They gran about two-thirds of all bank personal loans to borrowers who have a credit score of at least 661 (See how to improve your credit score). Many banks do not actually disclose credit score requirements but a few of them do. TD Bank is one of them who says that in their case, they will only approve personal loans of borrowers with a credit score of 680 or above. Since banks conservatively lend to borrowers who they consider as less risky, they also tend to approve larger loans on the average. Credit unions remain to be in the forefront of the personal loan industry although they issue lower loans than banks. Membership is the key differentiator between a credit union from a bank. So, in order to qualify for a loan, you have to be a member of the credit union. On average, credit unions charge lower interest rates than banks. Another advantage is their location. When you have a question, you can just drop by your branch and talk face-to-face with an expert rather than just doing it on the phone. Many borrowers also prefer the personal touch of a credit union – including the flexibility to tweak your loan terms and conditions to suit you better. You might be used to paying online or checking your loan balance via the Internet but it may not be applicable to a credit union. Some credit unions remain old-school and have not yet invested in such technology. Smaller credit unions usually carry fewer products and services compared to bigger ones. Make sure that your local credit union has the product that you really need. Compared to banks, credit unions would be more likely to issue a loan to a borrower with damaged credit. According to TransUnion, more than fifty percent of credit union personal loans go to borrowers with credit scores of 660 or below. About 25% of the loans went to subprime borrowers or those with credit scores of 600 or less. Most credit unions operate as a not-for-profit organization so their lending policies and decisions pretty much hinge on their institutional mission. Do you want to get a loan without leaving your bedroom? You can get a loan real quick from an online lender – it’s so fast that sometimes, the money is in your account the next business day. However, there are many things to consider before taking such loan. Due to the cut-throat competition in the personal loan market, online lenders try so hard to distinguish themselves from traditional lenders. Some of them have innovative lending guidelines that skip the traditional credit-scoring models or offer ‘extras’ like flexible payments, waived fees or schemes to lower interest rate during repayment. Online lenders like Earnest, Lightstream and SoFi focus on strong-credit borrowers by offering high loan amounts and low-interest rates. They normally consider credit scores of 690 to 719 as ‘good’ while a score of 720 and above is ‘excellent’ (See how your credit score is calculated). Other lenders try to catch the borrowers with less than perfect credit. Avant and LendingPoint are two of them. Rates will be higher, of course, but it is easier to get an approval if your credit score is just ‘average’ (630 to 689) or ‘bad’ (300 to 629). What About Bad Credit Borrowers? Find an online lender that caters to borrowers with bad credit. Some of them will factor in non-traditional elements such as earning potential in their decision-making process. Get a secured personal loan. In this case, you will need to put up a security for your loan such as your car or a certificate of deposit. Find a co-signer for your loan. If you have a friend or a relative with a good credit, he may help you qualify for a loan or get a lower interest rate. The catch is, your co-signor will have to pay for the loan in case you don’t. It’s fast and easy plus there’s not too much paperwork. You just simply key in the information and wait for approval. It’s the best alternative for those with poor credit because these lenders positioned themselves to work with bad or no credit. Some of these lenders may charge out-of-this-world interest rates. Do not be surprised if you find that some charge 100% APR – or even more. Once you are caught in, it can be very difficult to break out because the fees cost will keep piling up. In many cases, it would be better to first exhaust all other options. Yes, they have high-interest rates but personal loans have their own advantages. They build your credit portfolio. Personal loans are great in a sense that they can build and expand your credit portfolio within a short span of time. They are also a good way to increase your credit limit since your credit limit is directly dependent on the health of your credit portfolio. You can add to it positively by managing your personal loan properly. They are faster to process. Personal loans are quite simple and do not require too many paperwork. Many banks would even grant personal loans instantly for their existing customers with good credit history. They are very flexible. 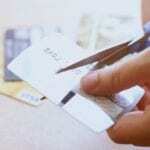 Personal loans, by themselves, are flexible enough. Lenders will not restrict you to use the loan amount in a specific way or purpose. You can use it for supporting your business expenses, enjoy a vacation, pay for a wedding, buy something expensive, or renovate your house. This flexibility makes it a popular choice for a number of situations, especially when unexpected items or expenses arise. Personal loans are unsecured fixed-term loans that can serve practically any purpose – pay for your wedding or honeymoon, remodel your home or fly to see the world. Depending on your credit score, a personal loan may even have a lower interest than a credit card – although that is not the general rule. However, they can still be a safer financial tool because it simplifies paying off your debt through equal installments each month.